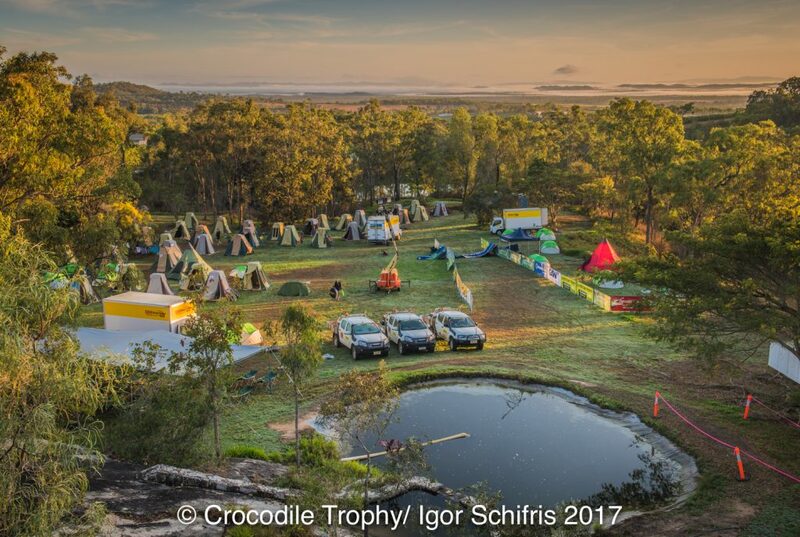 You need a lot of kit to take on an eight-day race like the Crocodile Trophy. 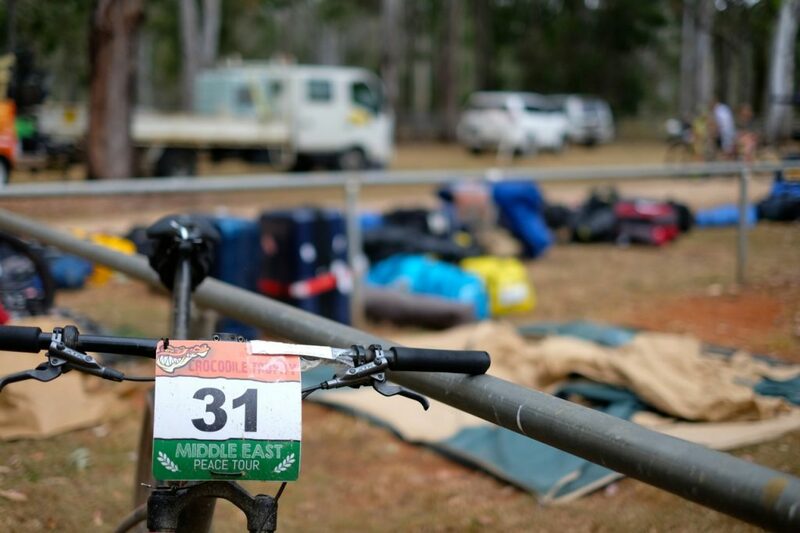 Here’s what we took to conquer the world’s toughest mountain bike stage race. 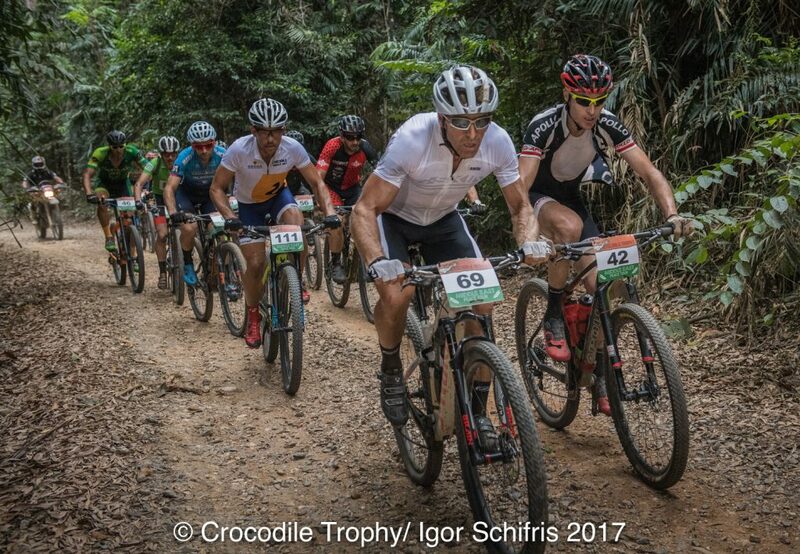 Our road to the Crocodile Trophy began much earlier than what we left ourselves for The Pioneer. 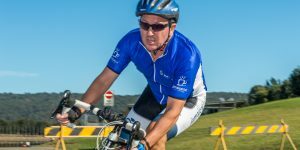 This gave us far more time to test various combinations of bike setup along with ways in which we’d carry equipment for each stage. 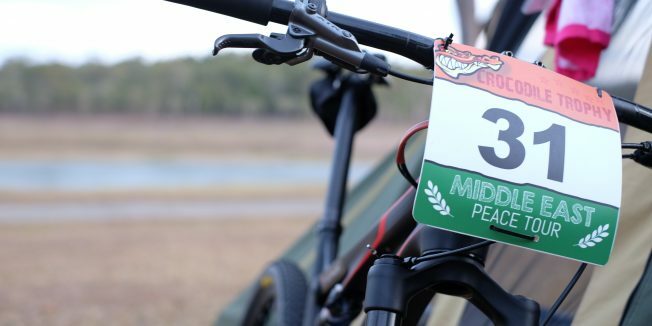 Some details like gearing can be easily adjusted but with a more training off-road, along with a few smaller races, we were able to thoroughly conclude what worked and what didn’t. The same can be said for other equipment left at the camp site each day. We got a pretty good understanding of what would be necessary for a race of this length back in February. All we needed to do for this one was bump up the temperature to 30-odd degrees and make changes accordingly. Our list is far from perfect but it got the job done. Better still, we had plenty of extras in the kitty just in case things didn’t go to plan. 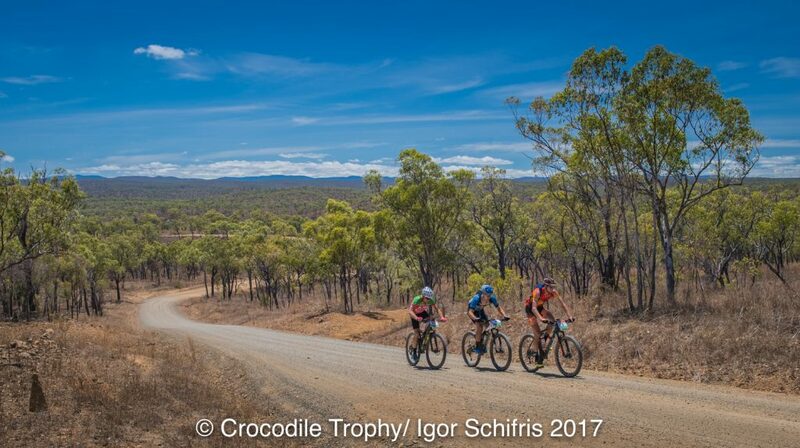 This isn’t road riding, the unexpected should always be expected when racing an event like the Croc. 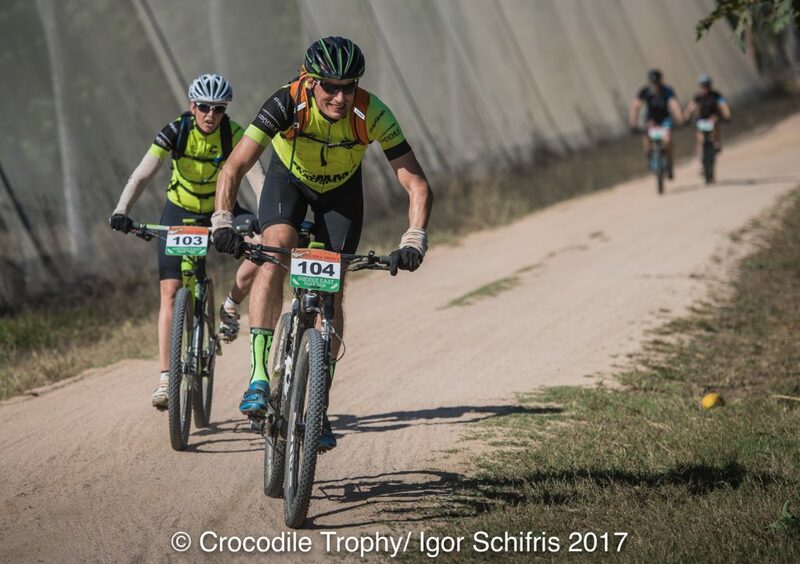 Once you’ve finished checking the list below, ensure to take on the 8 things we learned from the Crocodile Trophy. 1 x Merida NINETY-SIX 9.7000 – modified specification. Rock Shox SID RL Air 15 100 TC oneloc (stock) – tuned with ShockWiz and two tokens. Rock Shox Monarch RT3 (stock) – tuned using ShockWiz. 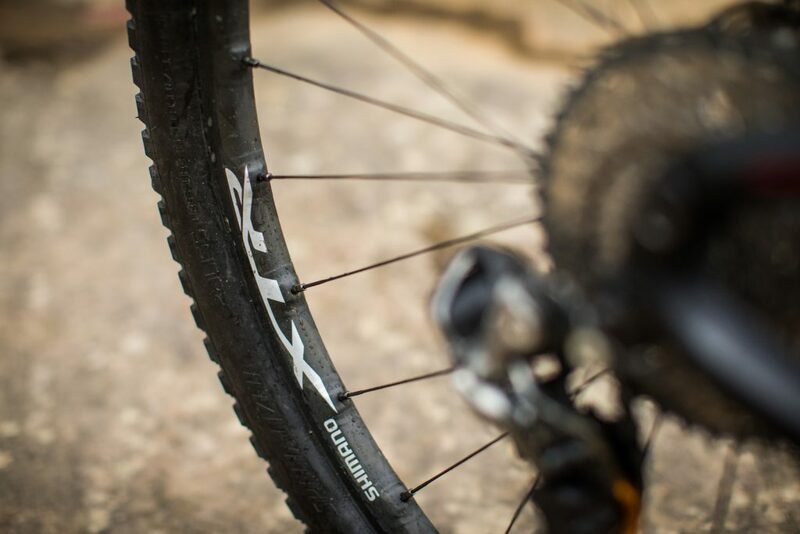 Shimano XTR Di2 1x groupset and XTR M9000 Carbon Tubeless Race Wheels. 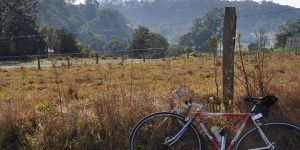 Our original plan, much like The Pioneer, was to head to Cairns with a Cyclist team consisting of two riders. 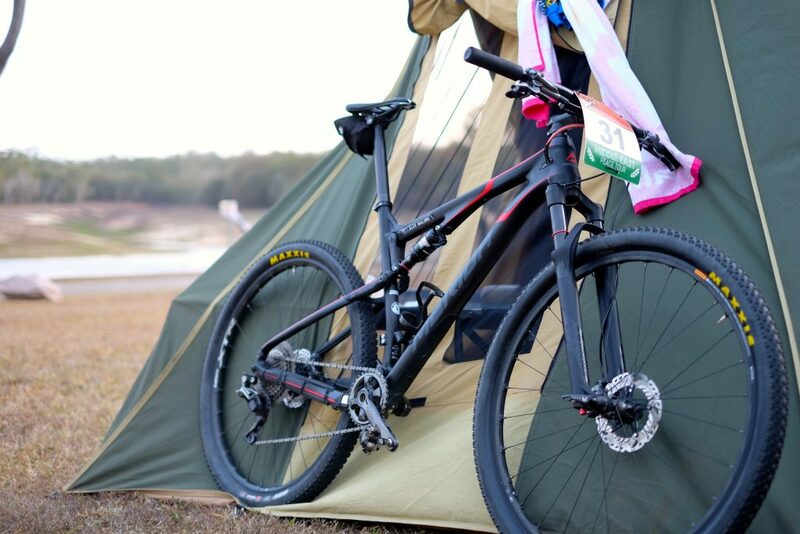 Alas, it wasn’t to be and so I arrived up north on my pat with a modified Ninety-Six 9.7000 fitted with the same Shimano XTR groupset as used in New Zealand and for a number of other events in the lead up. 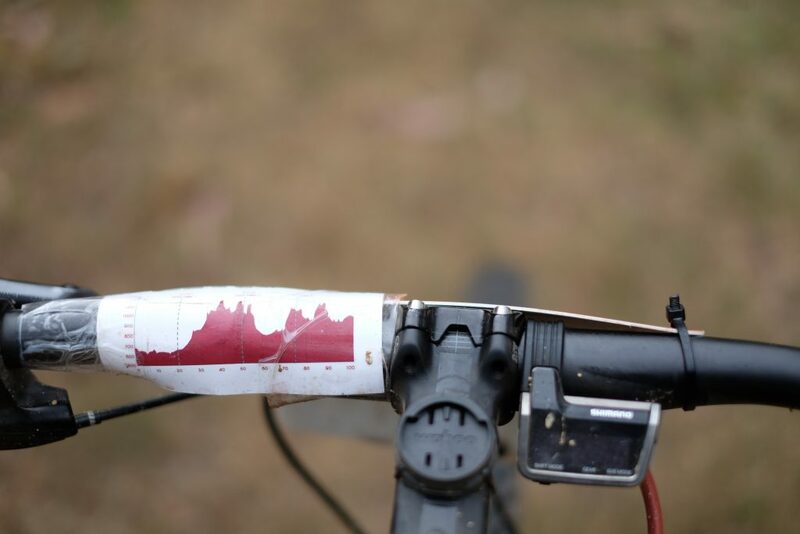 The stock setup with Shimano XT would however, have been more than worthy of the task. Funnily enough, I spent quite a bit of time on the Ninety-Six many moons ago while performing a long term test for AMB Magazine. Back then, the Ninety-Six was about as light a XC package as you could get but it really preferred to remain on the ground rather than be sent airborne. 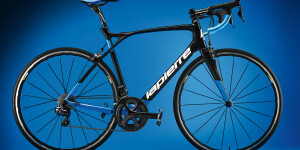 It was a hardline race bike that served one purpose. 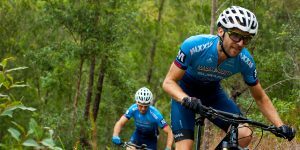 Fast forward to 2017 and you’re looking very much at a contemporary version designed to better negotiate the varied terrain most of us encounter during our ventures. 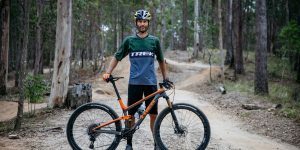 Efficient yet substantially more playful and felt immediately at home on even the roughest trails, the kind where limitations of the rider are exposed, rather than the bike. We stripped it back to frame, fork and shock before installing the Shimano XTR groupset along with PRO Tharsis seatpost (with integrated Di2 battery holder), stem, bars and PRO Stealth saddle. Other small additions included an upgraded C-Bear ceramic bottom bracket, Maxxis Ikon tyres, Speedsleeve to hold daily spares and a carbon side cage with integrated multi-tool holder from Specialized . 2 x Giordana FRC jerseys. 1 x Giordana EXO jersey. 3 x Giordana FRC bib shorts. 2 x Oakley sunglasses (Radar with EV Path Prizm Trail lens and TDF Jawbreaker). 2 x Capo Cycling Meryl 200 14cm socks (pairs). 2 x Attaquer Cycling socks (pairs). 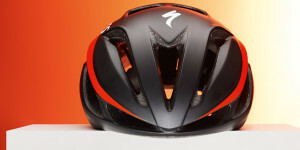 1 x MET Rivale helmet (consider taking a spare in case of mishap). 1 x Shimano XC9 S-Phyre shoes. 1 x Over Yonder Racing wind vest from Attaquer. 1 x Giordana arm warmers. 1 x Giordana leg warmers. 2 x pairs of Roeckl gloves (short finger). 1 x Rapha Pro Team base layer. 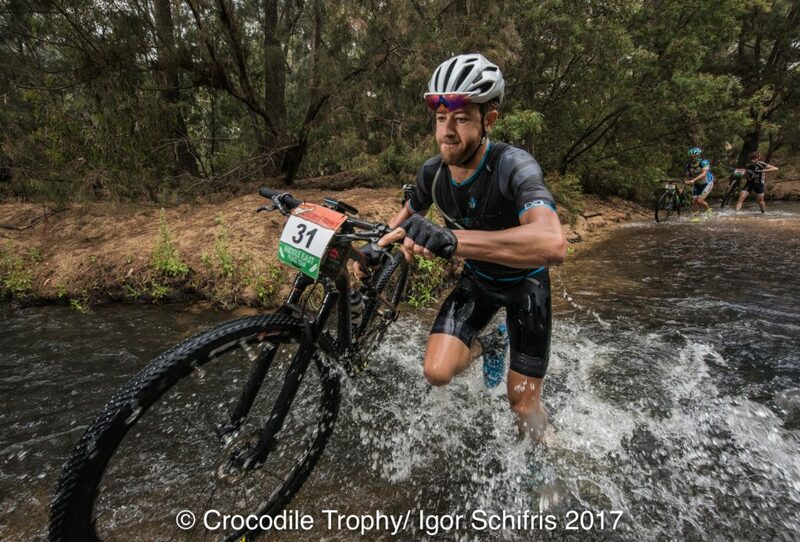 You don’t need a whole lot of race kit when the conditions are as warm as the Croc. 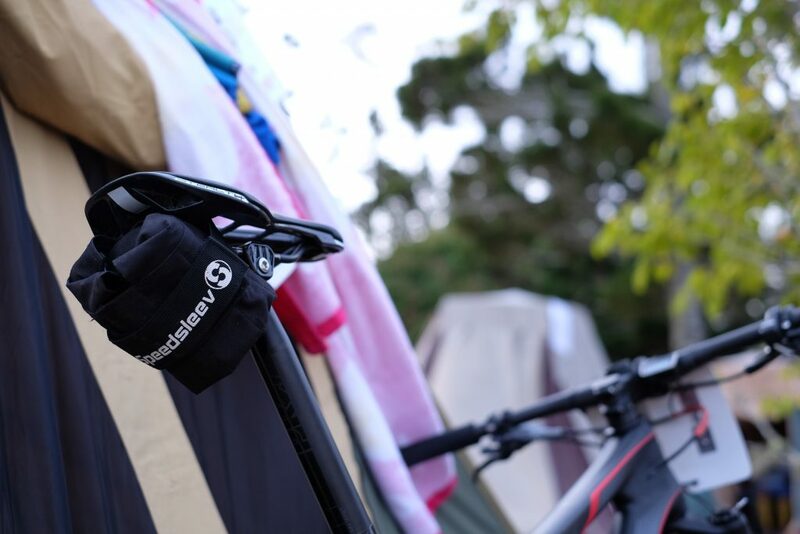 The only spanner in the works is a wet day or two as your kit won’t dry overnight in the tent. 1 x tube tucked away under saddle in Speedsleev – Ballistic Nylon Large. 3 x tubeless tyre boots in different sizes (made from Gorilla tape). 1 x Shimano Unzen 2L pack (filled to the brim every day). 1 x Specialized SWAT multi-tool (holstered in integrated mount under cage). 1 x Co2 inflator head. 2 x Co2 25g cannisters. 1 x chain quick link. 1 x section of Shimano chain (two links, carried in Unzen). 1 x chain breaker, part of larger multitool. Will consider a different option for next time. 1 x spare rear derailleur hanger. 1 x spare tubeless valve. 1 x mini bottle of lube. This was primarily needed on the wet day. Thanks to Hayley for forcing me to stop so she could lube my chain. Remember that bit about making friends? I carried only the one tube with the theory that small cuts would seal via the sealant and anything more major would require a tyre boot and tube. If that happened, which it didn’t, I would run a high enough pressure to negate any chance of another puncture. That was the theory anyway. 4 x 600ml Cyclist Purist bidons. 2 x Shimano XTR BR-M9000 metal brake pads with fins (pairs). 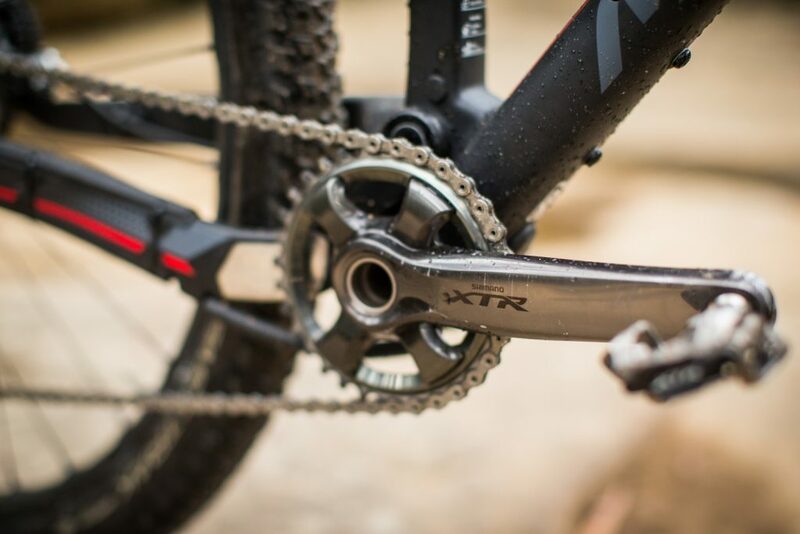 1 x Shimano XTR chain. 1 x Shimano XTR Di2 rear derailleur (used after a crash on Stage 6). 3 x Shimano XTR chainrings (30, 32 and spare 34-tooth). 1 x Shimano XTR pedals. 2 x Maxxis Ikon tubeless 2.2” tyres. 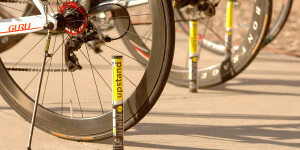 4 x Maxxis Welterweight tubes (leave the super light ones at home). 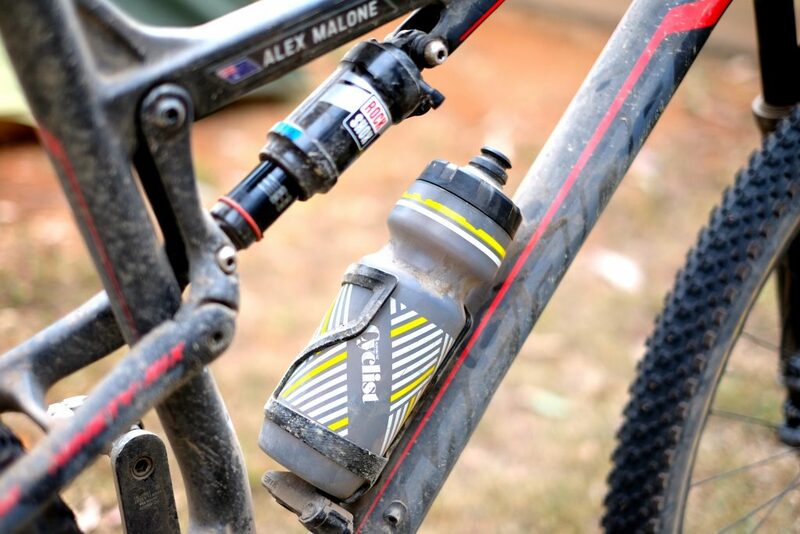 1 x XT 11-46 cassette (XTR available in 40-tooth max). 1 x Merida Ninety-Six rear derailleur hanger. 1 x XTR M9000 Carbon Tubeless Race Wheels (spares). 2 x Shimano XTR tubeless valves (one carried each day). 1 x bottle of tubeless sealant. 1 x Ninety-Six 9.7000 pivot and bolt kit. 1 x Finish Line Speed Degreaser (the crack of degreasers). 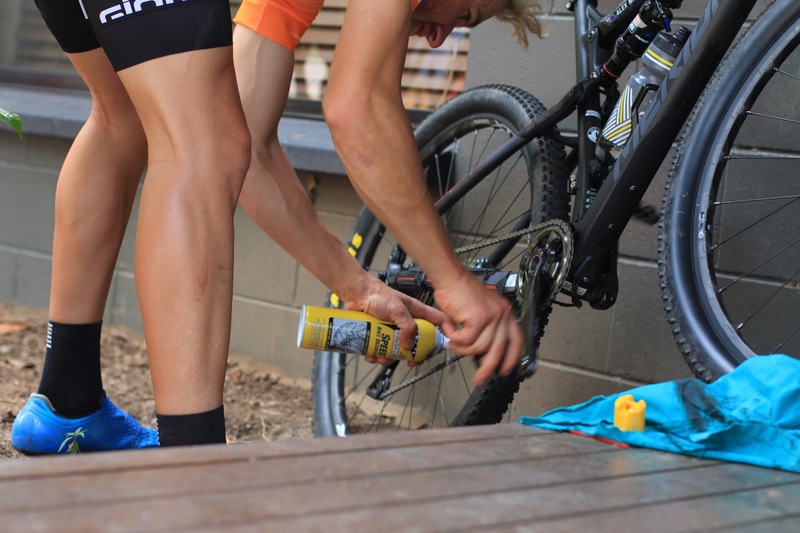 1 x Finish Line Polish and Protect (remember to treat your ride too). 1 x bottle of White Lightning Epic Ride lube. In addition to the above I also took a small selection of tools so I could do any minor repairs next to my tent rather than at the mechanic truck. 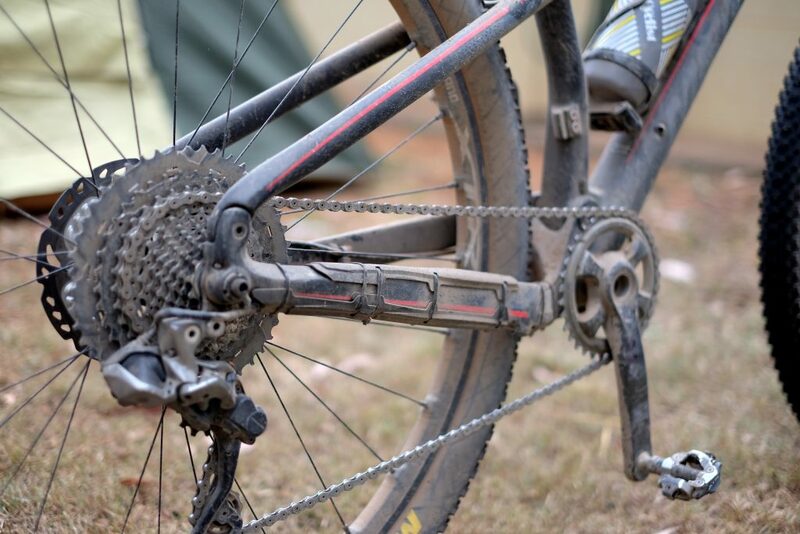 The weather conditions aren’t as tough as The Pioneer hence the scaled back drivetrain parts. I started with a new chain, cassette and chainring and performed around four hours on the drivetrain ahead of race day. This ensured everything was working as normal. 25 x gels (SiS GO Isotnic, GU and Endura). 30 x bars (variety of nut bars, fruit-based and GF grain). 10 x Skratch Fruit Drops. 2 x bags of Skratch Hydration. 5 x Science in Sport REGO sachets. On the days at Lake Tinaroo and Skybury, I opted for full-fat chocolate thick shakes. 1 x box of gluten-free Weet-Bix (two boxes for next time). 1 x 500g bag of Macro Roasted Fruit and Nut (for bulking out the breakfast). 2 x packets of gluten-free wraps. Will consider three or four next time. Unlike The Pioneer, it was made quite clear from the outset that nutrition stations would carry a far leaner selection of goodies. Each station would have water on one side and pre-mixed energy drink of some variety on the other side. There would be a few Uncle Toby’s muesli bars (which I don’t eat) along with a selection of fruits. Being in northern Queensland, the fruits were top shelf. That said, the more scientific products would need to be carried each stage in order to have enough fuel for the day. Each rider was provided with a small selection of energy gels in their race packs but this is certainly a race where you really need to supply all your energy needs. The fruit was great, especially on the hotter days but watermelon really provides very little in the calorie department. As you can see I also took my own cereal to eat before each stage. The normal cereal available during breakfast was, by all accounts, very delicious. Bananas, fruits, yoghurt and an assortment of milk varieties meant I could maintain my regular breakfast routine. The wraps meant I could fashion up a few savoury bites for during the longer stages. Cured meats and spreads were always available. 2 x pairs of socks (needed sparingly). 1 x Rapha Randonnee shorts. 1 x Zanerobe REC shorts. 1 x pair of boardshorts. 1 x pair of tracksuit pants. 1 x pair of Nike Kawa slides (worn without socks most of the time). 1 x MacPac ultralight puffer jacket. 1 x pair of tracksuit pants (worn twice). 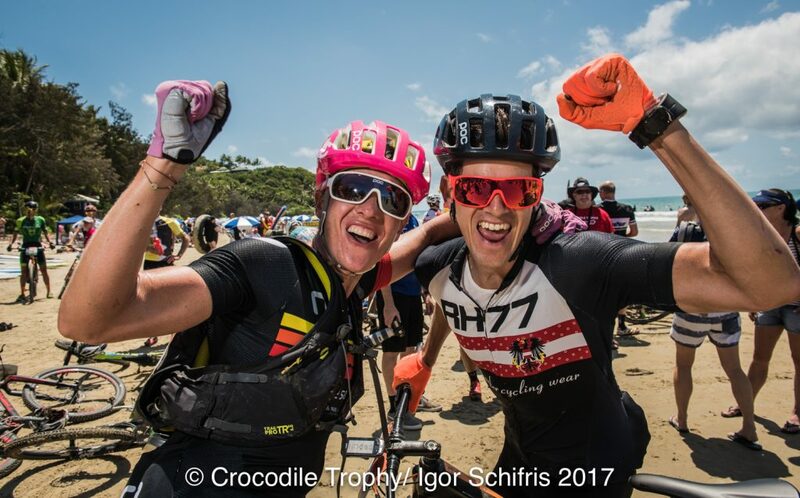 As mentioned in things we learned from the Crocodile Trophy, a lot of additional clothing was sent straight to Port Douglas. I was dared to send my regular shoes in the bag and so I did. I also sent a host of items including extra shirts, jeans, pants and smalls. I did miss my shoes on the wet day but otherwise, I had more than enough gear to get me through the week. I should add however, that we utilised a wash ‘service’ from another supported team. While not absolutely necessary, it meant we entered the final few days with a bag of clean gear. 1 x lightweight sleeping bag. 1 x Katmandu self-inflating sleeping mat (a touch over 1kg). This was placed on top of the strecher for a pretty darn comfortable sleeping arrangement. 1 x USB battery pack (with a small camp site than the Pioneer, this was used far less). 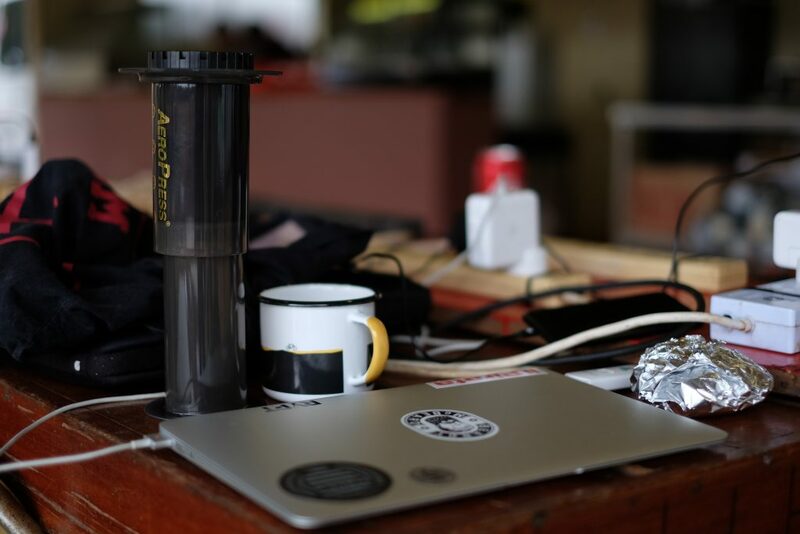 1 x Aeropress with metal filter. This was a popular choice amongst the locals. 1 x enamel Cyclist mug. 3 x tupperware containers. These are perfect for storing cakes, bread or other precious snacks. We were provided with the Tent Service and it was generally ready at the end of each stage. Due to the hotter conditions, you really didn’t want to get too involved with the sleeping quarters until later in the day. While not as flash as the Pioneer and Marmot variety, these hardy setups provided enough room for the six foot long stretcher, luggage and even a bike if you wished. Oh, and you could also stand up inside which made changing a real treat. 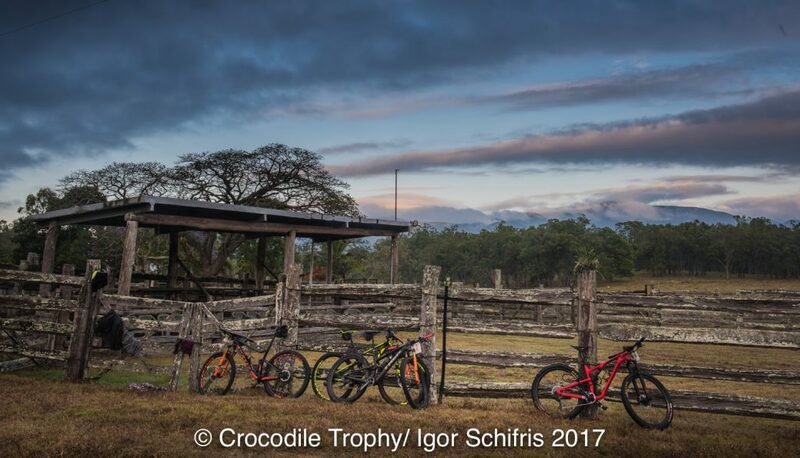 The Croc doesn’t provide secure bike parking and so it was up to each rider to decide how best to store their bike. 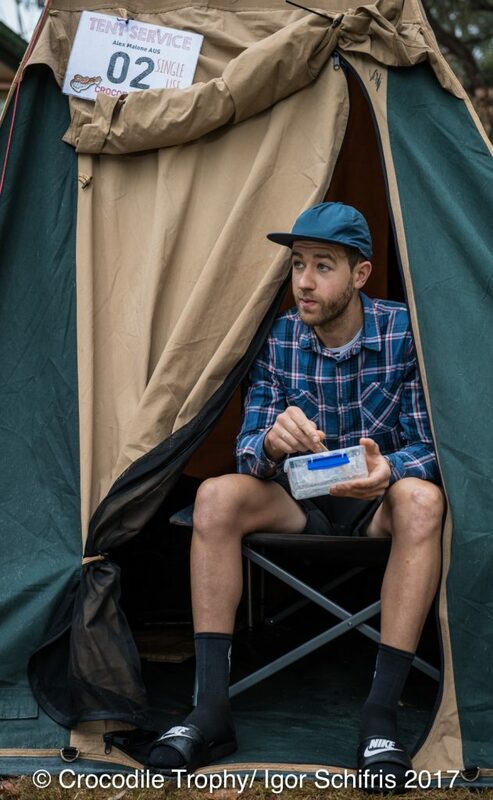 Mine came inside the tent on a few occasions while certain locations – Skybury and Wetherby – felt so remote that it was totally fine to leave it outside the tent. It’s worth mentioning that morning dew and damp conditions can impact your previous day’s chain lubing, especially if using a wax-based variety. Some riders however, brought a cable lock and secured them to either another bike or other appropriate location. No one had anything stolen during the week. 2 x USB charging plugs. 1 x iPhone charging cables. 1 x Wahoo ELEMNT charging cable. 1 x Shimano Di2 charging cable (we didn’t need it but one rider came chasing after me in an official car ahead of one stage. He needed it, real bad). 1 x toiletries bag including ear plugs, sports suncream, aloe vera after-sun gel (a real treat), shower gel, toothbrush and paste along with other associated items. Charging facilities were available at the end of every stage and as such, had little use for the battery pack. Have we left anything out? Feel free to comment below. We learned a lot during our second off-road stage race. 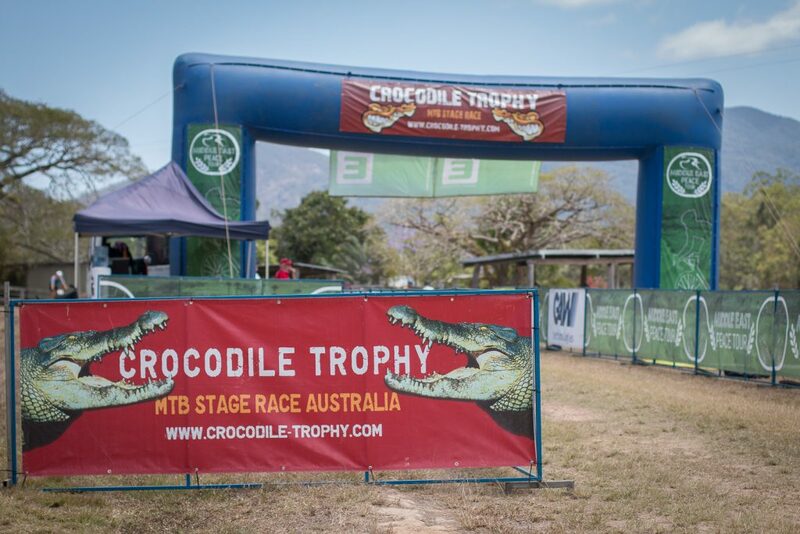 Be sure to check out 8 things we learned from the Crocodile Trophy.